Jeremy Moore has been appointed Director of Independent Living and the Office for Disability Issues (ODI). The ODI is a cross-government agency that will work with government departments, disabled people, and a wide range of external groups to make sure the needs of disabled people are fully represented. Jeremy Moore will be replacing Tim Cooper who is to become the Chief Executive Officer of the charity Advance, which specialises in helping to house those with learning disabilities or mental health issues. Mr. Moore has a wealth of experience within the field not only being the Director of Disability issues but from 1989-1998 was CEO of WBHC a charitable organisation set up to provide housing for people with learning disabilities. Given the challenging situation faced with all disadvantaged people both Jeremy Moore and Tim Cooper can only be considered assets and we wish them both well in their new endeavours in September. The British Association for Supported Employment is holding its 2011 onference at the Millennium Stadium in Cardiff on 7-8 September. BASE represents providers of specialist employment support services. The onference features 4 keynote speakers and 29 workshops on a wide range of topics as well as our annual awards. In 2009, there were 5.5 million fuel poor households in the United Kingdom, an increase of a million from the previous year; this is approximately 18.4% of the total number of households. But there appears to be worse to come! 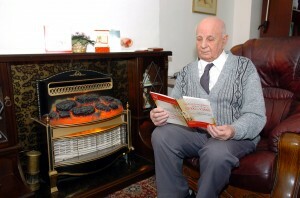 The fuel poverty figures only cover up to 2009. Therefore, it does not take into account the substantial increases in both oil and gas during 2010 and the first half of 2011. Given the present economic situation, where disposable income is decreasing, the situation can only get worse. For example, at the end of 2009 oil prices were starting to increase from around $75 a barrel rising to over $104 a barrel by 2010. The indirect effect of high energy prices will also have a knock on effect on staple products like grain, food production and delivery costs. This could not have come at a worse time owing to the environmental factors like the fires and droughts in grain producing areas. The increase in bread and egg prices are a consequence of this. This could end the option ‘Eat or Heat ‘, as nether could be afforded. Whilst the government appears to be taking some action on fuel poverty there must be questions on the effectiveness of these measures. Certainly there is some help available with for example the service the energy companies offer to the over 60’s, and the winter fuel payments. But this may not go far enough. Given the fact that over a quarter of those in fuel poverty are working and usually not entitled to direct help there should be extra help offered. A practical example to help those most in need could be for example; to abolish the charges paid by means other than direct debits. What the energy companies and the government do not appear to understand is that given the dire financial situation and the fact that being overdrawn by a few pence can incur substantial charges people simply cannot afford this option and it discourages people from using this system of payment. One piece of welcome news announced by the government was that the OFT would be investigating the energy market in relation to concerns that a price cartel was being operated. Whatever the outcome the future situation appears bleak. One final factor and perhaps the most worrying aspect of all is that according to economic experts the world is in recession and whilst in previous recessions oil prices have softened this time they appear to be doing the opposite. Hypothermia causes approximately 30,000 deaths a year mainly affecting the very young, the ill and the old, are we to expect this number to increase and do we accept this as a result of either difficult decisions or market forces? Finally the government should note the day they published the figures, 14th July Bastille Day in France, after all one of the causes of the French Revolution was caused by shortages of affordable staples like bread. The Government launched the Work Programme nationally in June 2011, ahead of schedule. The Work Programme is the biggest payment by results employment programme we have ever seen and along with the introduction of Universal Credit it is the focus of the Government’s drive to tackle long term unemployment. The Committee’s report is supportive of most of the principles of the Work Programme but highlights some areas where the Committee have concerns. – ERSA calls for measures to increase the transparency and effectiveness of Government procurement. 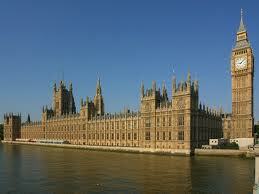 ERSA calls for measures to increase the transparency and effectiveness of future Government procurement. The Employment Related Services Association (ERSA), the trade body for the welfare to work industry, today welcomed the publication of the Government’s response to the Work and Pensions Select Committee Inquiry on Work Programme procurement, but released survey data showing that more could be done to increase the transparency and effectiveness of future Government procurement. Speaking in response to the publication, ERSA chief executive Kirsty McHugh said ‘This is a useful exchange which places the Government’s commitment to evaluation and transparency of information firmly in the public arena. ERSA’s membership has always backed the principles of the Work Programme, but our recent survey of ERSA members shows that the speed at which it was conducted has had a range of consequences that need to be taken into consideration by future Government procurement exercises. In addition, it would be helpful for the Government to publish a statement of intent about future procurement intention to help increase confidence in the market’. ERSA surveyed its members between 25 May and 16 June 2011 and received a 61% response rate. The survey results show that 71% believed that Government procurement timetables had been difficult and that 40% thought the procurement process allowed providers insufficient scope for introducing innovative ways of delivering welfare to work services. In addition, there was a call from subcontractors for prime contractors to reduce the bureaucracy of their own procurement processes. Some potential subcontractors had filled in over 100 Expression of Interest forms, which had presented a substantial opportunity cost to smaller organisations. A lack of certainty about the interaction of the Work Capability Assessment and the Work Programme, particularly in instances where individual customers are referred to Work Programme providers when unable to work. ERSA is the trade association for the welfare to work industry. Established in 2005, by the industry for the industy, it exists to help members achieve their shared goal – to help people achieve sustainable work. ERSA’s membership ranges from large multinational corporations to small specialist charities. It represents about 85% of those organisations that have been awarded prime contracts under the Work Programme all Work Choice providers. Press enquiries should be directed to Kirsty McHugh, Chief Executive, available on 07932 792 435 or Kirsty.mchugh@ersa.org.uk. Newsletter: Events, news and whats happening!! Reform of Public Services: Good or Bad? NCVO has previously maintained the notion that the voluntary sector should not have an automatic right to deliver publicly funded projects but has always advocated that where it is practical, given the skill base experience and intimate knowledge of the disadvantaged, the voluntary sector should step in. The NCVO points out that one of the major obstacles currently barring this was funding. If properly resourced, specialised organisations dealing with for example drugs, ex-offenders, and poverty could make a positive contribution. An example could be given in the much heralded Work Programme were many providers are using a triage system to indentify the needs of each individual, identifying any barriers , and the voluntary sector could provide effective solutions in this situation. “This has nothing to do with people power; it’s about handing more of our public services over to private companies so they can make massive profits at taxpayers’ expense. What appears obvious is that for this experiment to be given chance to work it must be sufficiently resourced.